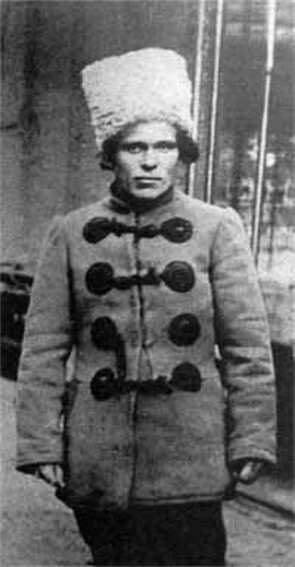 Makhno, Nestor [Махно, Нестор; Maxno], b 27 October 1889 in Huliai-Pole, Katerynoslav gubernia, d 25 July 1934 in Paris. Anarchist leader. 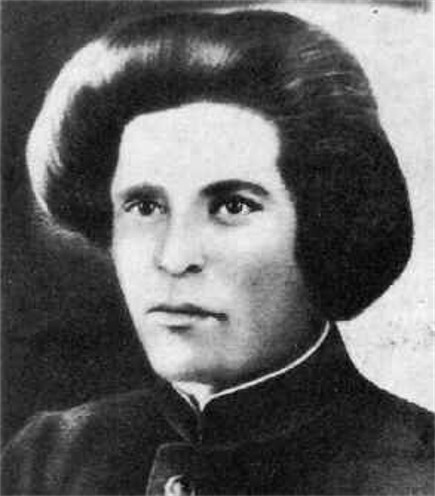 Because of the injustice he experienced Makhno joined an anarcho-communist group. 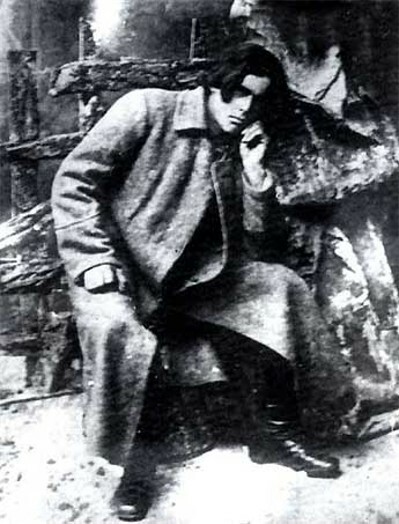 As a result of the group's terrorist activities Makhno was twice arrested; the second time, in 1910, he was sentenced to death. The death penalty, however, was commuted to life imprisonment. He served his sentence in the Butyrki prison in Moscow. 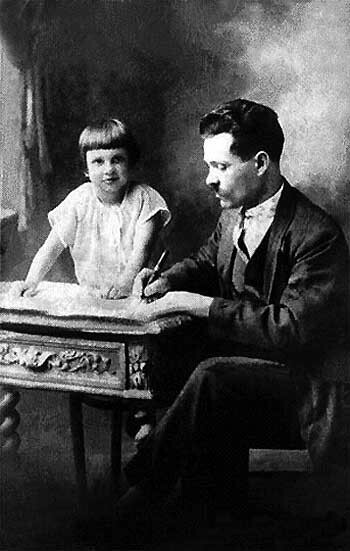 In prison Makhno acquired a general and political education from the prison library and from other political prisoners. There he became a confirmed anarchist. Makhno was released on 2 March 1917. Makhno returned to Huliai-Pole, where he organized local peasants, workers, and artisans and headed the local soviet of workers' and peasants' deputies. He also organized peasant bands for the expropriation and redistribution of the manors of the local nobility. In July 1918 he began to mobilize resistance to the Central Powers and Hetman Pavlo Skoropadsky. 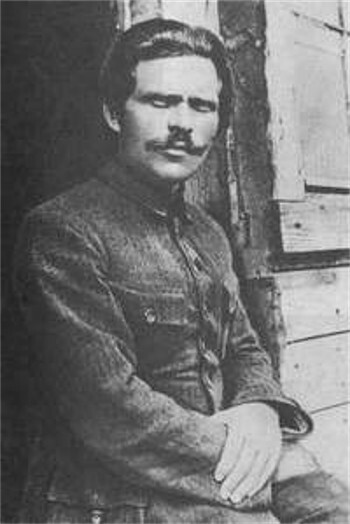 Makhno led a popular insurrection against the occupying German forces while conducting raids on local estates. As military leader he combined clever and unorthodox tactics with a resolute and well-disciplined army (based for the most part on voluntary enlistment). Instrumental to Makhno's military successes were the light mobile cavalry units he formed, which featured innovative horse-driven carriages (known as tachanky) upon which machine guns had been mounted. The withdrawal of the Central Powers from Ukrainian territory in November 1918 left Makhno in a position of considerable strength in Katerynoslav gubernia. His forces effectively controlled the entire Huliai-Pole region for the first five months of 1919. In the spring of 1919 he was strengthened by the arrival of members of the Nabat Confederation of Anarchist Organizations, which had its headquarters in Kharkiv but maintained branches in the major cities of Ukraine. They assisted in the cultural and ideological work of the anarchist movement by editing its periodicals Put’ k svobode and Nabat. 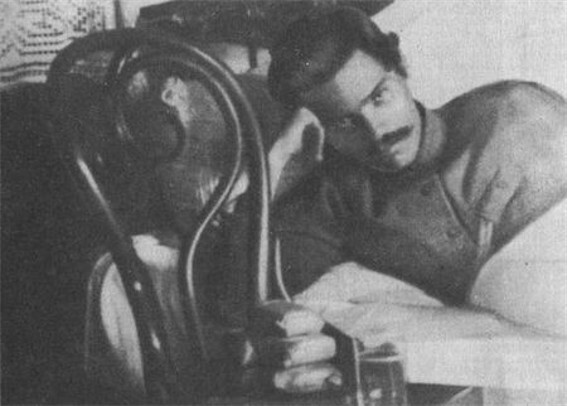 Makhno concluded a shaky alliance with the Bolsheviks in March 1919 against Anton Denikin but resisted attempts to subordinate his command to the Red Army, and the alliance deteriorated. On 14 June 1919 Bolshevik forces attacked Huliai-Pole and dissolved the existing anarchist communes. In July 1919 Otaman Nykyfor Hryhoriv, whose army was operating in the vicinity, offered to ally himself with Makhno. 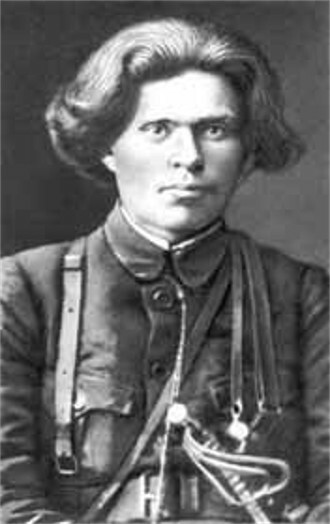 Makhno refused, executed Hryhoriv, and brought a large portion of the otaman's forces into his army's ranks. The alliance with the Bolsheviks resumed in the summer of 1919 with the advance of Anton Denikin's Volunteer Army into Ukraine. 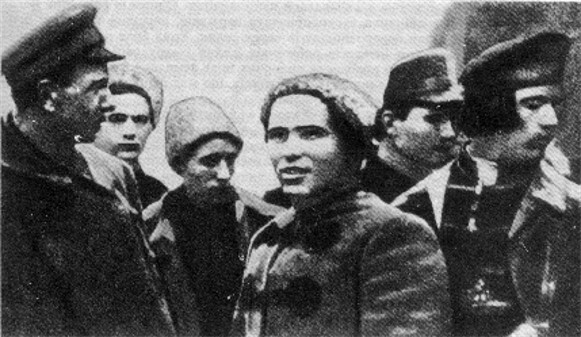 Makhno's forces were pushed back as far as Uman, where they encountered the Ukrainian Galician Army and Symon Petliura's regular Army of the Ukrainian National Republic. A brief pact was concluded with them on 21 September 1919, but Makhno continued to operate against Denikin's forces independently. On 26 September he delivered a major blow to the Whites near Perehonivka, and forced them to retreat while the Bolsheviks inflicted further damage. With the defeat of Anton Denikin Makhno reached the zenith of his influence in Ukraine, at which time he took the cities of Katerynoslav and Oleksandrivske (now Zaporizhia), in October and November 1919. (In Katerynoslav a Ukrainian-language anarchist newspaper, Shliakh do voli, was started.) His troops, numbering approx 40,000 controlled about one-third of the present territory of Ukraine (mainly in Left-Bank Ukraine and Southern Ukraine) and included a population of roughly 7 million. In October 1920 in the face of a renewed White threat emerging from the Crimea, the Makhnovites and Bolsheviks concluded a treaty calling for military co-operation and amnesty for all anarchists held in Russian jails. The offensive launched by Petr Wrangel's army was dealt with quickly, and afforded the Bolsheviks an opportunity to deal decisively with the Makhnovites. 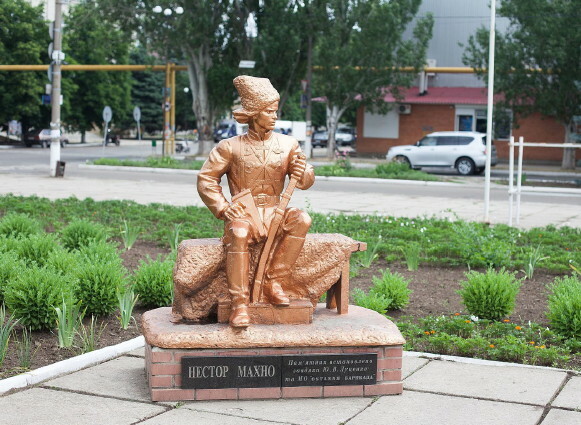 They massacred a group of Makhno's soldiers returning from the Crimean campaign on 25 November 1920 and then turned their troops on Huliai-Pole. Makhno was forced to make a dash for the Romanian border, and crossed it on 28 August 1921 with a small band. The remnants of his army in Ukraine were soon crushed. In Romania Makhno and his band were arrested and interned, but he escaped to Poland, where he was arrested a second time on charges of fomenting rebellion among Galicia's Ukrainians. After being acquitted he moved to Danzig (now Gdańsk), where he was arrested a third time. He escaped to Berlin and from there moved to Paris. There he remained active in anarchist circles and contributed regularly to the international anarchist press (including occasional articles discussing the latest developments in Ukraine). He also wrote his incomplete memoirs (in Russian), dealing with events to 1918.